Can We Expect Awesome Mobile Games if We Aren't Willing to Pay for Them? 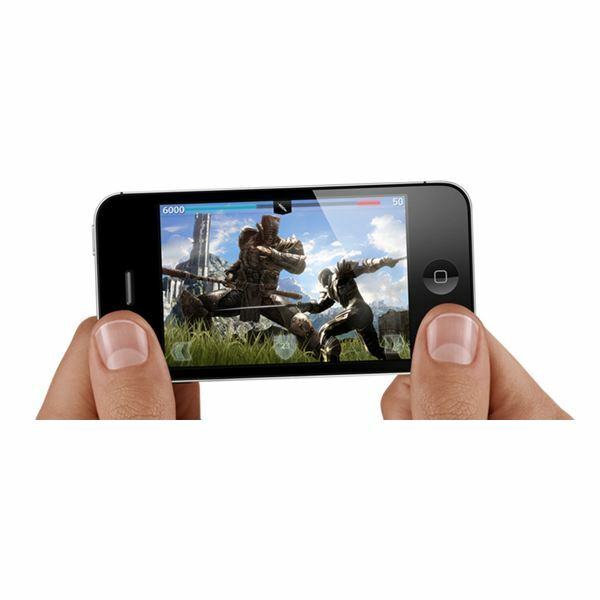 Amongst the series of triumphant announcements at the Apple event unveiling the iPhone 4S there was the claim that Apple’s iOS is the most popular gaming platform in the world. This is based on the fact that there are over 50 million unique Game Center members. To give a comparison Xbox Live has around 30 million unique users. I feel compelled to point out that this is a disingenuous claim. People who buy a smartphone that happens to support a host of free games and choose to play one or two are not really comparable to people who buy a console or handheld specifically to play games on. None of the mobile platforms are primarily for gaming. The actual percentage of those 50 million users who have spent money on a game would be an interesting statistic, but I doubt it would serve Apple’s self-aggrandizing statements. While mobile gaming is definitely growing and the games are improving, the vast majority are still very basic when compared to games industry output on established gaming platforms. To be honest smartphones aren’t even ready to challenge handhelds yet. If we consider the amount of money being generated by the games industry then we’re looking at around $65 billion per year. Despite all sorts of lofty claims that mobile gaming will be bringing in $50 billion by 2015 it is currently generating about $8 billion per year. Can High Quality Games Turn a Profit on Mobile Platforms? The issue of pricing is very important. Way back at the start of the year the Nintendo of America president spoke about the risk mobile game prices are bringing to the industry. He was talking about the consumer expectation that games should be very cheap or even free and how that could damage high quality titles on other platforms. It can be profitable to develop mobile games and sell them cheaply, but that’s because they are generally basic and they can be developed quickly by small teams. It can also be profitable for developers or publishers to port existing games to smartphone platforms and sell them more cheaply because it is all additional revenue – they’ve already sold the games at full price on handhelds. What is unclear is whether there is a market for expensively developed, high quality games on smartphones — games that cost a lot to develop, and so need to have a high price tag for the developer to see a return. 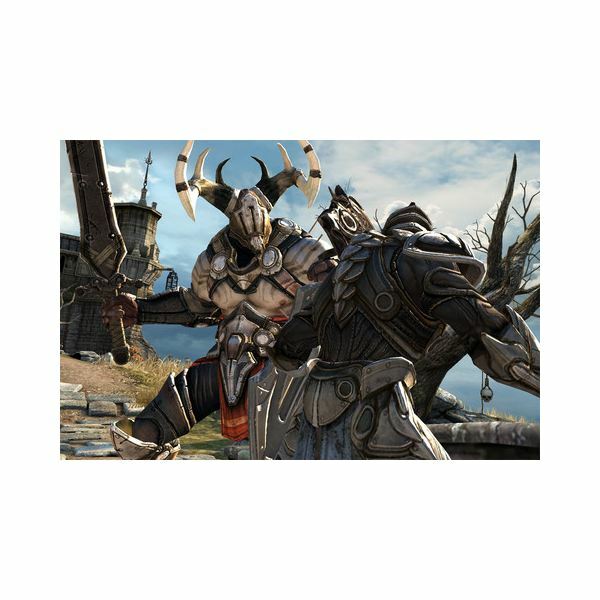 Infinity Blade is an example of a fairly high quality game developed for the iOS platform that turned a quick profit. It was sold at $6 and Epic claimed it made a profit in its first week of release with more than 300,000 sales. The thing is, Infinity Blade was an unusual release and it got amazing press coverage and a demo at Apple’s keynote event. It was also developed relatively cheaply by games industry standards and the price point was still low at $6. If the iOS platform was flooded with quality games there’s no way they would get the same level of exposure or sales. If developers are going to put a lot of money into development and they have to drop prices to $10 or less to sell a game on a mobile platform then the only way they can make any real money is to sell a lot of copies. This is a pretty big gamble right now. Sure, the first ones in might do well because of the novelty factor, but that won’t necessarily be the case for those who follow. If you take a look at how revenue is being generated in mobile gaming you can see the trend is actually drifting towards the freemium model. According to Distimo, the average selling price for mobile games declined by 28% over the last year. The most popular freemium games boosted the overall profits with in-app purchases. These games are free to download and play, but they offer players the option to buy in-game cash for real money. These mobile games allow you to buy your way to victory and in my humble opinion that doesn’t make for a satisfying gaming experience. The other trend we can see quite clearly from the Distimo report is that the top games are increasing their earnings and that a very small group of publishers and developers is dominating the mobile game charts. Just ten publishers account for 27% of all top 300 free games downloaded and 54% of all top paid games downloaded. It’s still possible for new developers to release a smash hit, but it is becoming tougher for Indies to compete and it will get worse. The pressure is on to release games for free or at very low price points and so developers have to find other ways of generating some cash. After the distributor takes a hefty cut, developers aren’t left with much. High quality games on mobile platforms have trouble distinguishing themselves and, from a developer point of view, innovation and quality does not necessarily lead to profit. For every success like Angry Birds there are thousands of games that didn’t make a return for their developers. The failures go unreported. Rovio actually released 51 games before they hit the big time with Angry Birds. Mobile gaming does have a bright future and as the hardware improves and control issues are solved, the games should get better and better, but the issue of pricing will continue to be a problem and a barrier. Ultimately if people are not willing to pay more for their mobile games then the lack of innovation and the low quality of most titles is here to stay. It is still generally true that you get what you pay for. 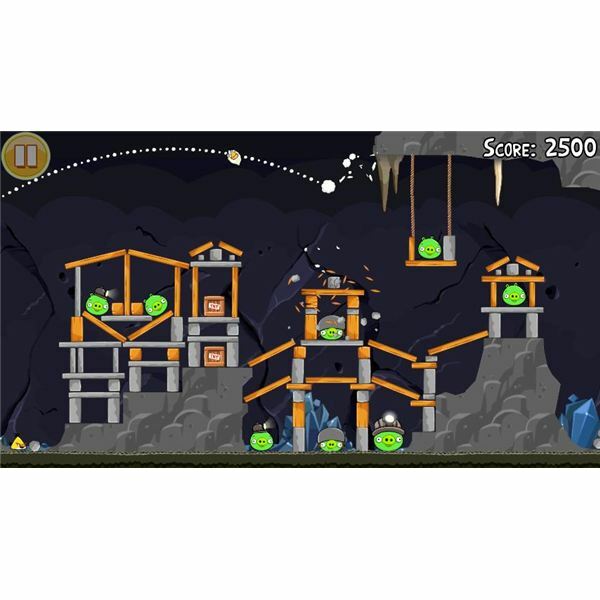 Angry Birds screenshot by author.